Singapore is a foodie’s delight. I realised that on my recent visit to the island nation. From hawkers to upscale restaurants Singapore tantalises the taste buds with its variety and unique flavours. While chilli crab, Nasi Goreng and Laksa remain my all time favourites I also like some modern interpretations of classic dishes. I love the straight forward, non-fussy nature of this cuisine and also the dipping sauces – dark soy sauce, chili with garlic, and pounded ginger. I revisited my favourite Singaporean dishes at the JW Marriott Juhu, Mumbai which is hoisting a 10 day Singapore Food Festival. 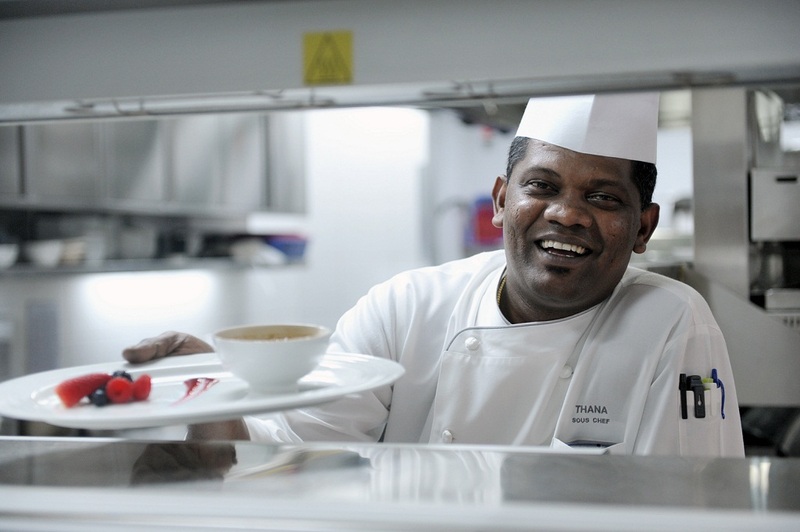 Singapore Marriott’s Sous Chef, Chef Thanabalan Chandrasekaran has been specially flown down for the festival buffet which comprises of classic dishes, street food and modern interpretation of traditional cuisine. The famous Singapore Sling is served complimentary to every guest. I couldn’t have enough of this wok fried sweet and chilly crab dish. 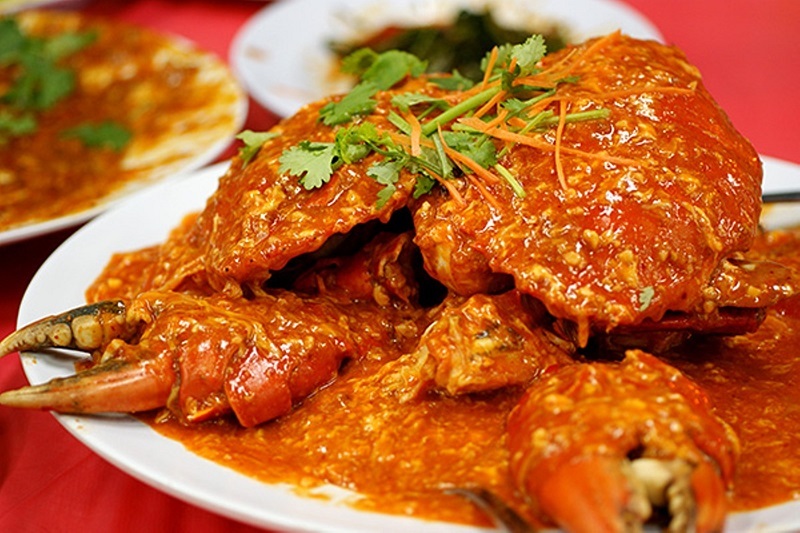 Justifiably Singapore’s national dish it’s available in numerous variations – black pepper, salted egg yolk, cheese-baked, etc but chili crab is by far the bestseller. It’s messy as hell but I love to get mop up every last drop with mantou buns. 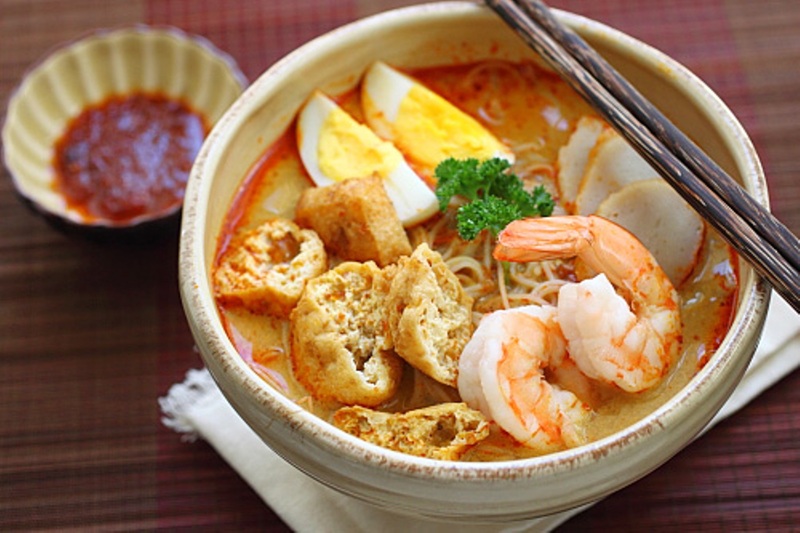 I love this soupy dish of rice vermicelli dunked in spicy coconut milk flavoured with dried shrimp and sambal chilli. Some versions also have bean curd and sprouts. Toppings include boiled egg, chicken and prawns. Eat it or slurp it down, either ways it’s irresistible. 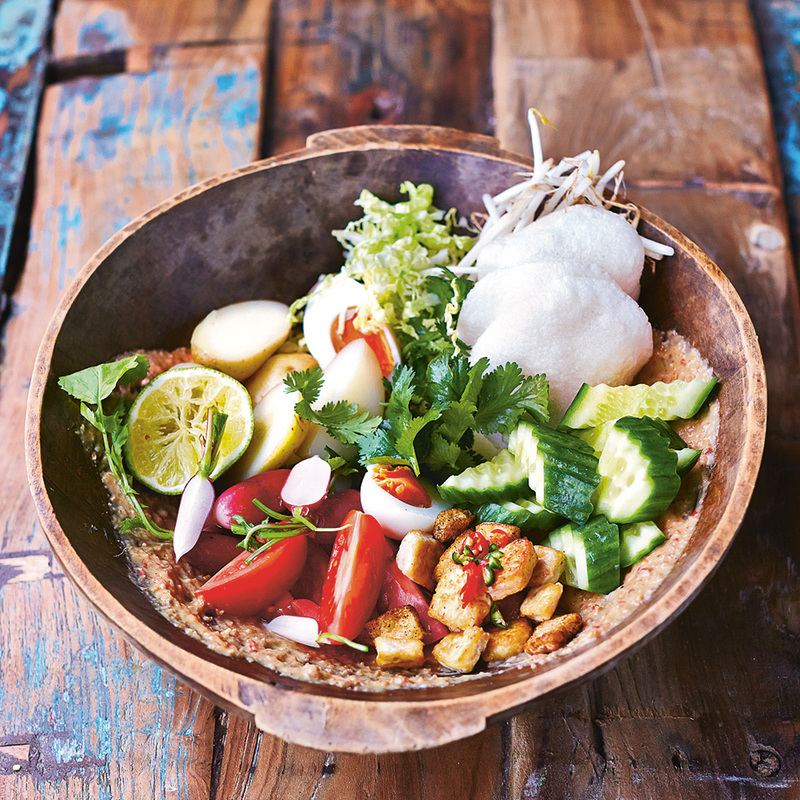 What’s not to like about a mixed salad with tofu, hard boiled eggs and dressed in a spicy and aromatic peanut sauce? Topped with crunchy prawn crackers it’s a complete one dish meal. By the way Gado simply means ‘mix mix’. 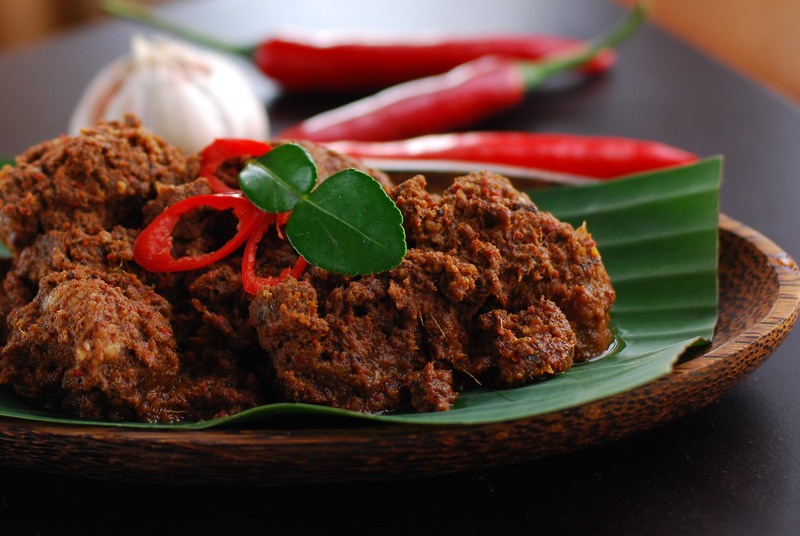 There are mutton dishes and then there is rendang. This slow cooked spicy mutton made with coconut is a triumph of flavours with lime leaves, nutmeg and cloves. The crucial reduction process allows the absorption of the spices into the meat yet not over-drying it. The end result is a semi dry dish best had with plain hot rice. 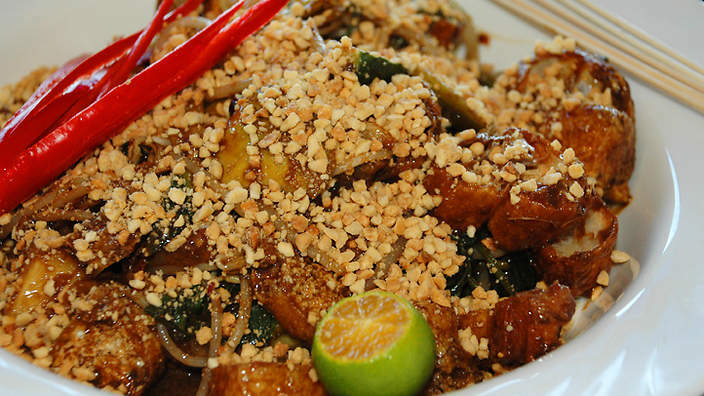 This sweet, spicy and sour fruit and vegetable salad is a popular street food in Singapore. The prawn based brown sauce dressing, crushed peanuts and grated ginger add a wicked kick to this humble dish. This simple wok fried noodle dish was my comfort food in Singapore. The fiery looking noodles are tossed in chilli paste, tomato sauce and dark sauce and fried just right – not too dry and not too oily. 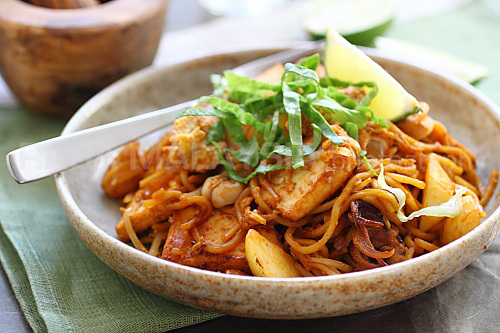 So what sets a Mee Goreng apart from a regular noodle dish? The dish uses yellow egg noodles and the potent sambal sauce along with fried egg, sliced chicken, minced mutton, squid, spring onions and onions.